At Early Bird Farm, we grow a little bit of everything, and it all works together in ways that mimic what nature intended. Our chickens rotate around the pasture in mobile coops, fertilizing the fields for the vegetables we grow. Many of these vegetables rely on our honeybees for pollination, and our berries, fruit trees, and flowers ensure that the bees have plenty of nectar all season long. Cover crops (like the buckwheat pictured below) and crop rotations ensure that the soil gets the rest and rejuvenation it needs. Solar panels on the barn help naturally power our tools and equipment. Everything is grown without synthetic chemicals of any kind. Add it all together and the results are delicious! ​Rawley and Rebecca bonded over a shared love of good food grown in healthy soils. 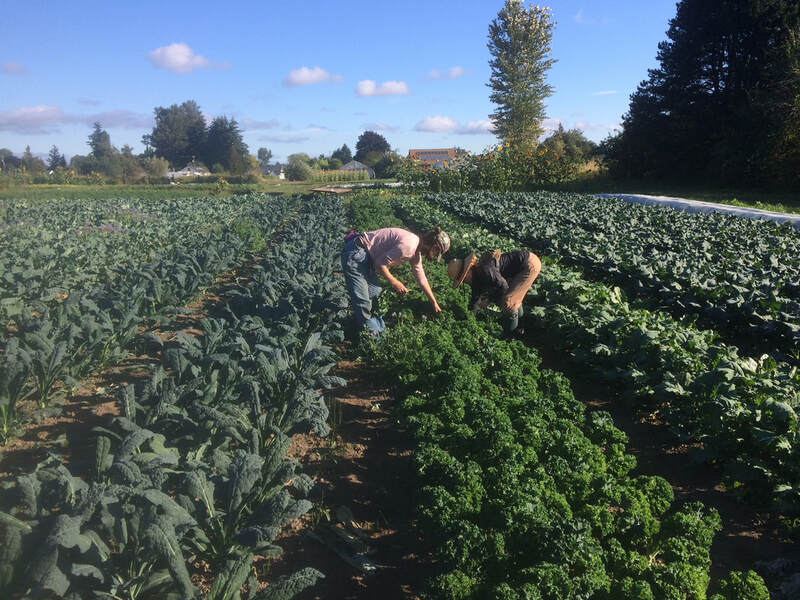 We established the farm in 2013 and feel fortunate to be continuing the rich tradition of agriculture in the fertile Puyallup valley where so much land has been lost to development. Baby Everett was born in March 2017 and we are excited to raise him on the goodness of this land. 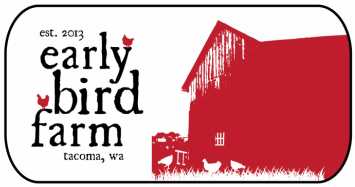 One of our goals at Early Bird Farm is to foster the next generation of small scale, sustainable farmers. Each year we hire three individuals to participate in our farm internship program. The internship teaches everything it takes to run a market farm, from seed to harvest and sale. By the end of the season, interns are better prepared to start their own farms and become informed advocates for sustainable agriculture. Without the hard work of our interns, we would not be able to bring you all this amazing food! Interested in joining our team? Job listings are posted each winter on the ATTRA website.